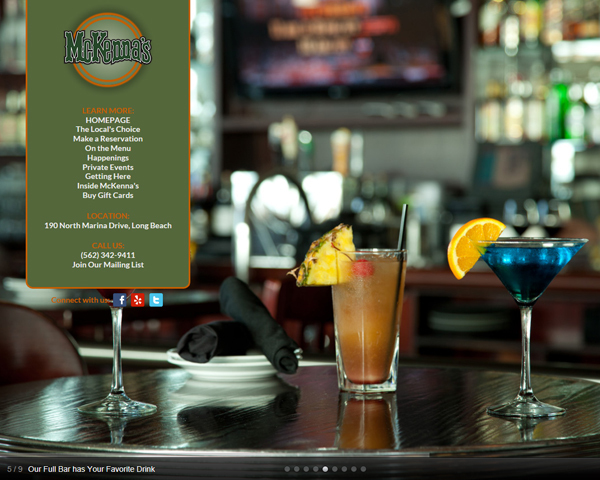 McKenna’s on the Bay – Website Design | ASTRALCOM - Content Strategy, Conversion Marketing and Customer Acquisition. 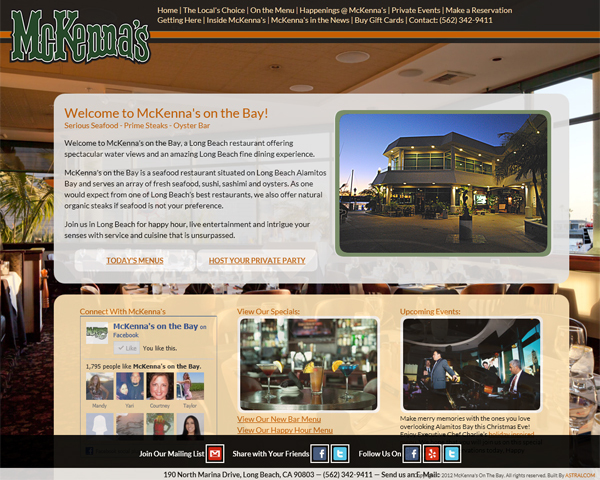 McKenna’s on the Bay – Website Design | ASTRALCOM – Content Strategy, Conversion Marketing and Customer Acquisition. In a city as beautiful as Long Beach, the competition for diners’ and tourists’ attention is fierce. We needed to raise the bar on restaurant and destination-type sites to truly highlight our client’s unique attributes. So, we started with crisp, custom photography that helped take the web and image experience to new levels. We included user-friendly features like an embedded and easy online reservations widget, online gift cards and an integrated calendar of events - all wrapped in an easy-to-maintain content management system. 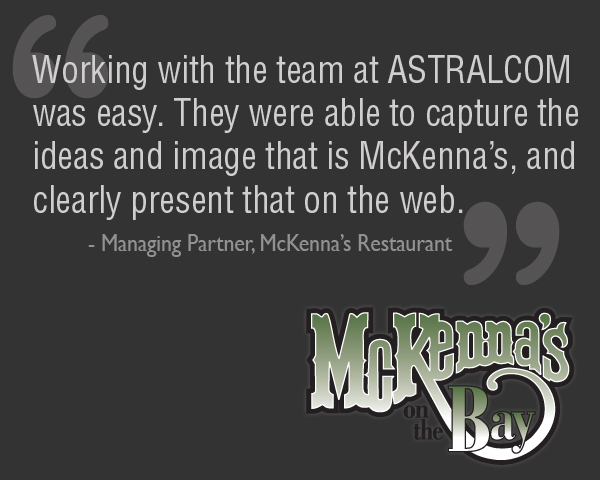 “Working with the team at ASTRALCOM was easy and they were able to capture the ideas and image that is McKenna’s and clearly present that on the web,” commented McKenna’s Managing Partner. The result is a more robust experience for site visitors, an increase in reservations and lots of happy diners. Contact us today to develop an inspiring website like this for your business.